A GP background with 20 years of cosmetic medicine experience. Past experience as a former medical journalist for Channel 9, 7 and 10. And is a former Queensland President of the Australian Medical Association. 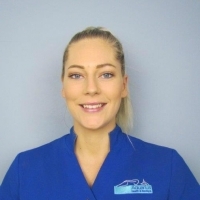 She has been at the helm of the business since 2011 and in that time it has grown from a two room practice offering cosmetic medicine and surgery to the modern 1250²m multi-modality, award winning Medispa. This exceptional facility offers a blend of spa therapies and positive ageing cosmetic procedures. Aquarius is a place to rejuvenate, recharge and relax with luxurious touches to provide an elegant and private environment where guests are made to feel welcome. Melinda is our senior Beauty and Dermal Therapist. 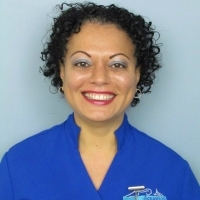 She has over 20 years’ experience in spa and dermal therapies. Melinda’s goal is to provide our clients with exceptional service and ensure that they leave feeling relaxed and rejuvenated. Melinda’s extensive knowledge of skin types and home care products allows working with clients to improve their skin. Melinda has also graduated from CoolSculpting University and is our ambassador for CoolSculpting procedures. She loves seeing the fantastic results, reminding her why she loves her profession! 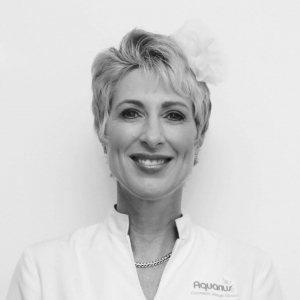 Melinda works between Aquarius and our Cosmetic Image Clinics delivering beautiful outcomes for our guests. Melinda is available for bookings Tuesday to Saturday. With Melinda’s incredible skills as a therapist and infectious personality she books up quickly so be sure to book ahead! Magda is our cheerful receptionist! She has been a client of Aquarius Health & Medispa and has joined our team to help make sure your experience is flawless. 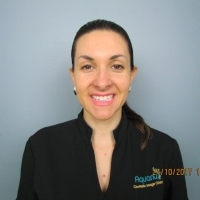 Her background includes providing primary front desk support while managing spa appointments and creating a welcoming and inviting atmosphere for all guests and visitors while promoting memberships, spa products, treatments and services as the Lead Receptionist for Aquarius Health & Medispa. Magda’s attention to detail will ensure that you are taken care of from the moment you call to book your appointment until you walk out the door looking and feeling fabulous! Lilian Peruzzo Monteiro has a Bachelor Degree in Physiotherapy from the University of Southern Santa Catarina (Brazil). She is certified in Pilates, Global Postural Re-education and beauty therapy. 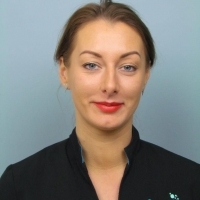 Lilian has over 9 years of experience as a Beauty Therapist and Pilates Instructor. At Aquarius Health Spa, she is performing facials, body massages, treatments, including spa therapy, reflexology and aromatherapy, manicures and pedicures and teach Mat Pilates classes. As a Beauty Therapist and Pilates instructor she aims to provide a first class experience every time. Lilian believes in combining personalized treatments in a relaxing environment so our clients leave feeling invigorated and relaxed. Hi my name is Laura Petrie. I am a fully qualified beauty therapist, graduating from the Australian national college of beauty. I absolutely love skin and spa treatments, my favourite being the hydra-facial and the vino therapy rejuvenation ritual. I am currently studying to be an RN, aspiring to be a cosmetic nurse. I love performing spa treatment and making people feel completely relaxed and rejuvenated. 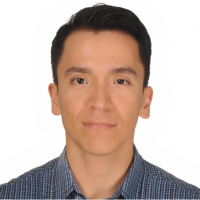 Luis is a qualified Physiotherapist (Universidad Industrial de Santander), a personal trainer, and has organised group fitness classes as an instructor at ProGym Fitness Club in Bucaramanga, Colombia. He has nine years of experience helping people enjoy working out but also bringing awareness about the importance of movement, stretching, and real core work out for a healthy life.